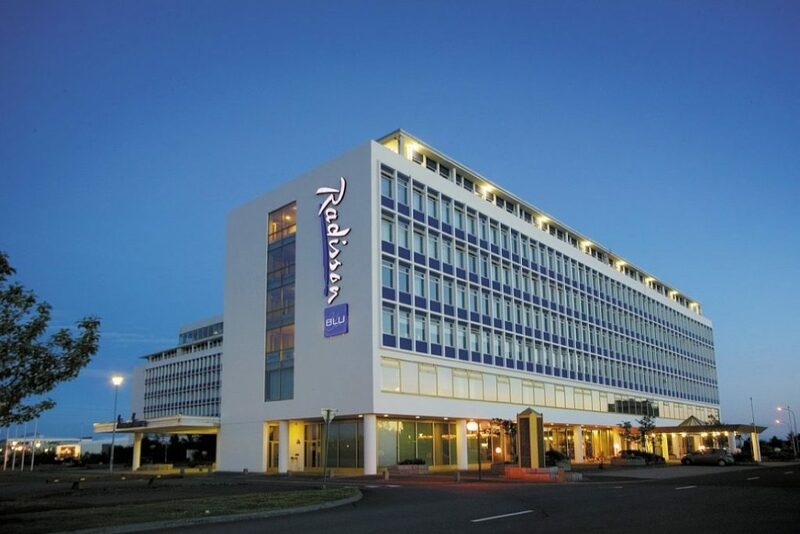 The Radisson Blu Saga Hotel, Reykjavik is an architectural landmark that sits in a tranquil neighborhood just 10 minutes from the vibrant city center with sweeping views of the city, ocean, glaciers and mountains. You can explore the city’s museums, galleries and nightlife as well as its nearby natural wonders. Keflavik International Airport (KEF) is just 45 minutes away by car and a city bus stop is located right outside the hotel. 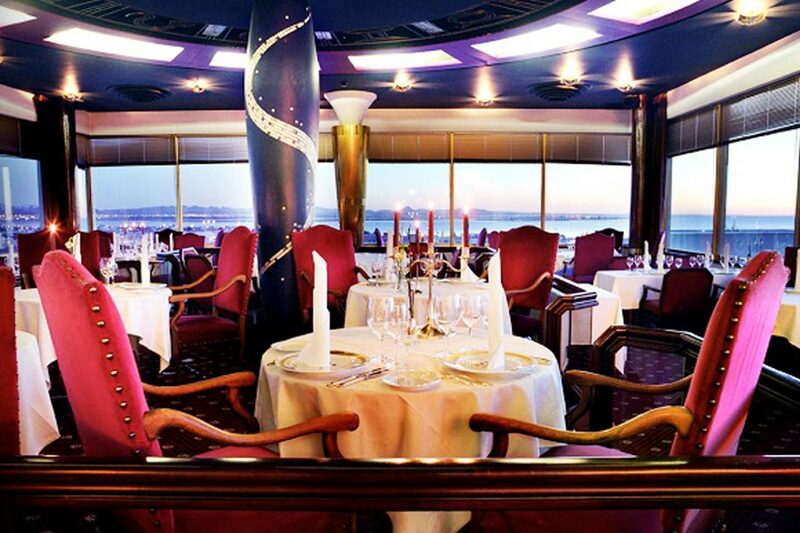 Domestic flights depart from Reykjavik Airport (RKV), just five minutes from the hotel. 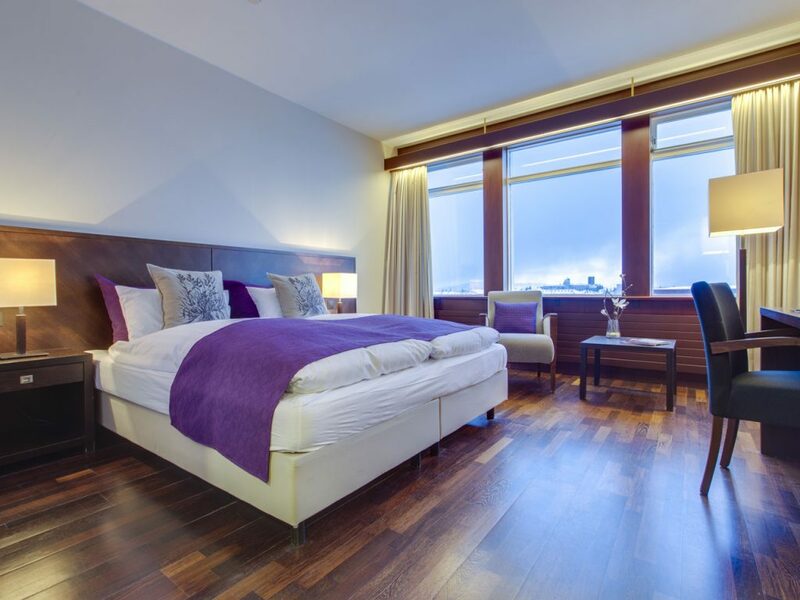 Comfortable amenities grace the 236 rooms and suites of this Reykjavik hotel. Indulge in the hotel’s flavorful buffet and gourmet, on-site dining as well as premiere guest services that include on-site banking and salon care. You can keep up with your fitness regimen with complimentary access to the on-site gym. The hotel’s event space features eight meeting rooms, many with plasma screens and videoconferencing, for polished conferences and personal events.